Whether youre here for the crashing of the waves on the Atlantic Ocean stretch of the beach or prefer the gentle waves that lap along the shore of St. Helenas Sound on the south end of the island, theres one thing every vacationer and local have in common: We all love the beach. So why not do a little something for the beach in exchange for all it gives to us? The Town of Edisto Beach offers a way for stewards of the community to adopt a beach access. Edisto Beach offers several public beach accesses all along Palmetto Boulevard and Yacht Club Road. These accesses provide pathways to the beach for anyone and everyone. But with all the foot traffic during the busy summer months, sometimes these accesses need a little tending to. Thats where community members are asked to step in. Adopting a beach access means that any person, family, group, or organization agrees to be responsible for keeping the access clean and safe. If there is trash anywhere near that access or on the beach the adopter will pick it up. In case there is any damage or anything obstructive on the path, the adopter is required to tell the Town so that it can be tended to. Thankfully, Edisto Beach stays cleaner than many beaches around, so this task isnt one that is too difficult to be undertaken. It provides a way to give back to the community and can also be done by virtually anyone  making it a great way for a teen to get public service put on a resume or to provide exercise for older folks. 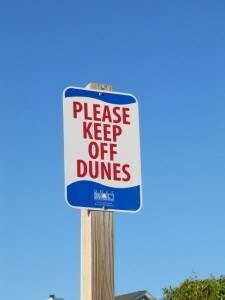 Also, for anyone new to the area, remember that there is no overnight parking at any beach access and parking is only allowed from 6 a.m. to 10 p.m. Motorized watercraft is not prohibited on the accesses or the beach or dunes. Turtle tracks and nests should also be reported by the beach access adopter if the tracks or nests appear to be fresh and not already marked by Edistos Loggerhead Turtle volunteers. To adopt a beach access, contact the Town at (843) 869-2505. The adopt a beach access sounds good, but I feel that the Edsito Beach Loggerhead Turtle Project, (EBLTP) Volunteers pick up more trash, litter, and remove debris from the beach and beach accesses than the general public realizes. We walk the beach every morning from May to October which is the time of the highest concentration of tourists on Edisto Beach. We spend most of the time removing litter. The Adopt a Beach Access will only have 6 months to worry about it in the lowest concentration time of tourists. It is upsetting to see that many dog owners do not take advantage of the bags provided at beach accesses! Children and adults should not have to walk around dog poop to get to the beach! How do we get pet owners to take responsibility for keeping our beach clean?